All The Colours Of The Earth is a children's anthology of poetry from around the world. 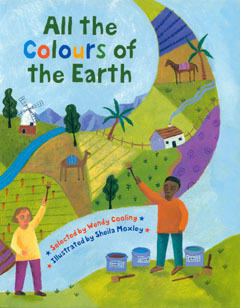 Selected by Wendy Cooling and illustrated by Sheila Moxley, All The Colours Of The Earth features some of our most inspired voices such as Benjamin Zephaniah, Rabindranath Tagore and John Agard. All around the world children play, talk and sing together. The poems in All Around The World show what children share as well as reflecting the differences and similiarities in their lives and the need to protect the world. These poems invite you to see yourself not just as part of your family and community but as a citizen of the whole world. 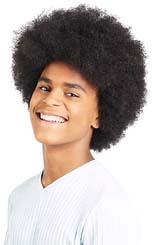 It is a good introduction to conversations about world poverty and climate change and enables children to see how poetry can be used to show how we feel about our world. All The Colours Of The Earth is available to buy now.